It was not a street anymore but a world, a time and space of falling ash and near night…. The roar was still in the air, the buckling rumble of the fall. This was the world now. 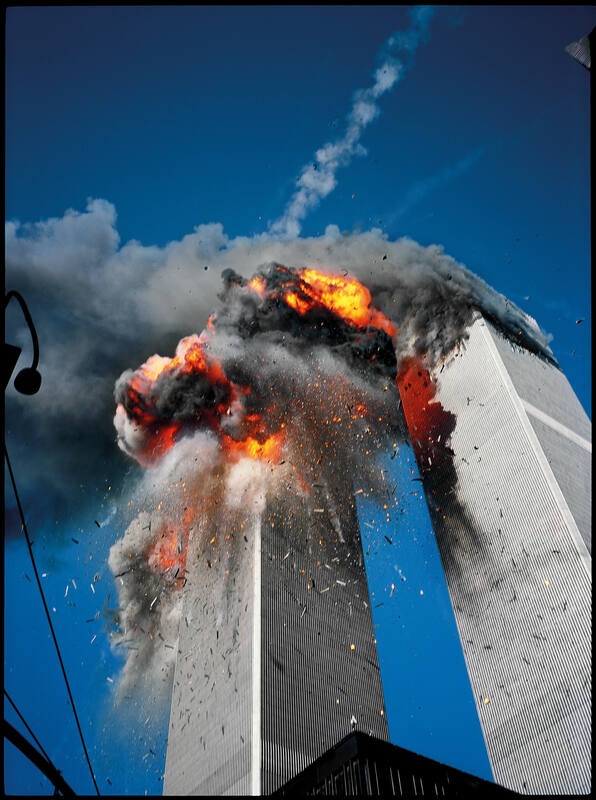 Lyle Owerko’s photograph at the moment the second tower was struck, 2001. Image courtesy of Lyle Owerko. Established as an instrument of trade expansion, New York’s World Trade Centre came to symbolise the achievements of American and Western society – iconic in both their aesthetic and architectural feat, and in terms of what they did for the global exchange of goods and ideas. The Twin Towers were the world’s tallest buildings at the time of their completion in the early 1970s – and portrayed a direct relation between architecture and trade, where architecture has long been considered a visible and physical imitation of the notion of exchange, and an expression of power and success. So when Al-Qaeda-affiliated jihadists razed the Towers to the ground in a spectacle that can only be comprehended through our memories of cinema and special effects, what did this mean for both the movement of goods, capital, and labour; the movement of ideas and concepts; and more interestingly, what did this mean for art? Directly after the attacks on New York, German avant-garde composer, Karlheinz Stockhausen likened the event to being the “greatest work of art imaginable for the whole cosmos.” The composer’s career was eclipsed by this single remark, and led many to question how one could possibly relate this act of depravity to art. This idea that art correlates with a revolution in the world is arguably exactly what fundamentalist groups – like Al-Qaeda and IS – are set on achieving in their online distribution of both Tweeted crucifixions and the destruction of cultural heritage sites – and perhaps, this is exactly what Stockhausen meant. 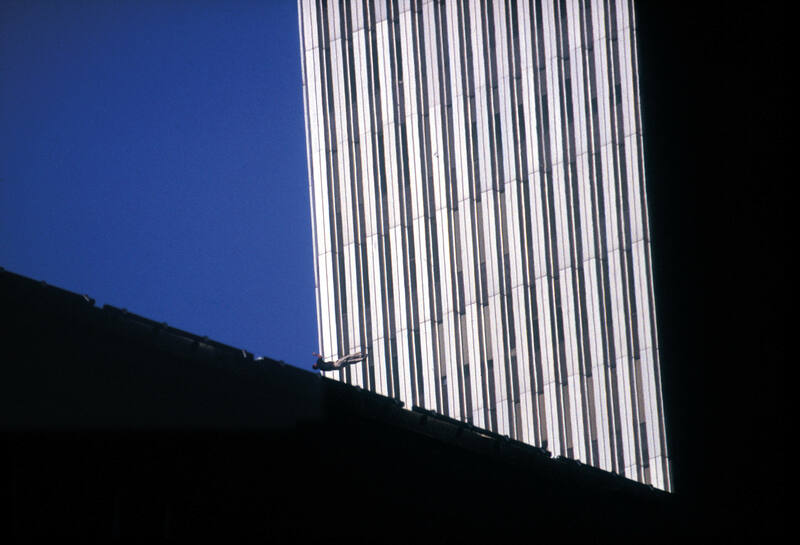 A man falls from the burning World Trade Centre after the buildings were attacked by Al-Qaeda affiliated jihadists, on September 11th, 2001. 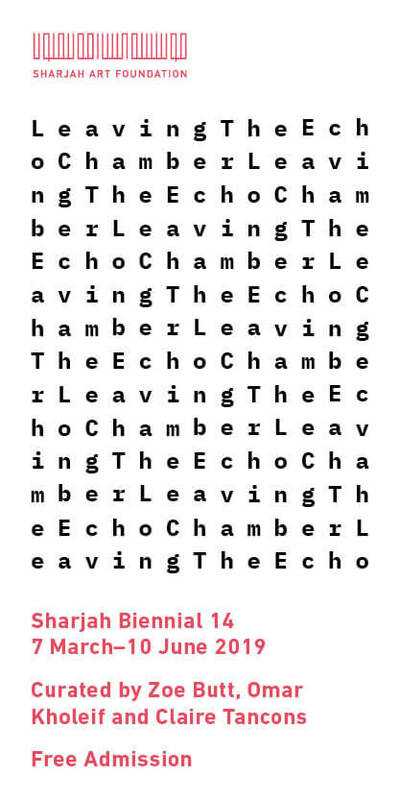 Image courtesy of Lyle Owerko. In this regard, it could be argued that terror, and the media’s proliferation of it, has overtaken the ‘power’ of art. 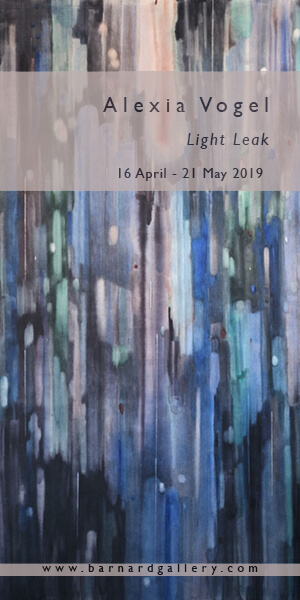 Whilst – according to the avant-garde understanding of art – art should be radical and daring, representations of violence and terror are unable to measure up to the reality of terrorism, and therefore perhaps terrorism has replaced the notion of the avant-garde and its will to power. The attacks of 9/11 were the greatest work of art imaginable for the whole cosmos. Minds achieving something in an act that we couldn’t even dream of in music, people rehearsing like mad for ten years, preparing fanatically for a concert, and then dying, just imagine what happened there. You have people who are that focused on a performance and then 5000 people are dispatched to the afterlife, in a single moment. I couldn’t do that. By comparison, we composers are nothing. Artists, too, sometimes try to go beyond what is feasible and conceivable, so that we wake up, so that we open ourselves to another world. It’s a crime because those involved didn’t consent. They didn’t come to the ‘concert.’ That’s obvious. And no one announced that they risked losing their lives. What happened in spiritual terms, the leap out of security, out of what is usually taken for granted, out of life, which sometimes happens to a small extent in art, too, otherwise art is nothing. In 2015, IS fighters took to the ancient city of Palmyra, what is now present-day Homs Governorate in Syria, in an attempt to destroy what was physically left of this Semitic civilisation. The terrorist group set up a series of explosives in order to destroy the ancient Temple of Bel – a temple that had remained for over 2000 years a site of religious life and represented a meeting point between Classical and Eastern architecture. Like New York’s World Trade Centre, Palmyra was once the cultural epicentre of the ancient world, joining Greco-Roman and Persian architecture, and acting as a thoroughfare for trade from Rome to Persia, India and China. Between the first and third centuries, Palmyra rose in splendour as an oasis of date palms and gardens, and continued to stand as a symbol of Syrian diversity. In an article published by The Guardian in 2015, worthy mention is made of prior Islamic occupation of Palmyra. Under the Ummayyad caliphate that existed in the 7th century AD, they did not see fit to tear down symbols of Polytheism and rather appropriated a section of the Temple of Bel to make use as a mosque. In destroying the Temple of Bel, the “most beautiful symbol in all of Syria,” ironically IS was successful in both the erasure of pre-Islamic and Islamic history. 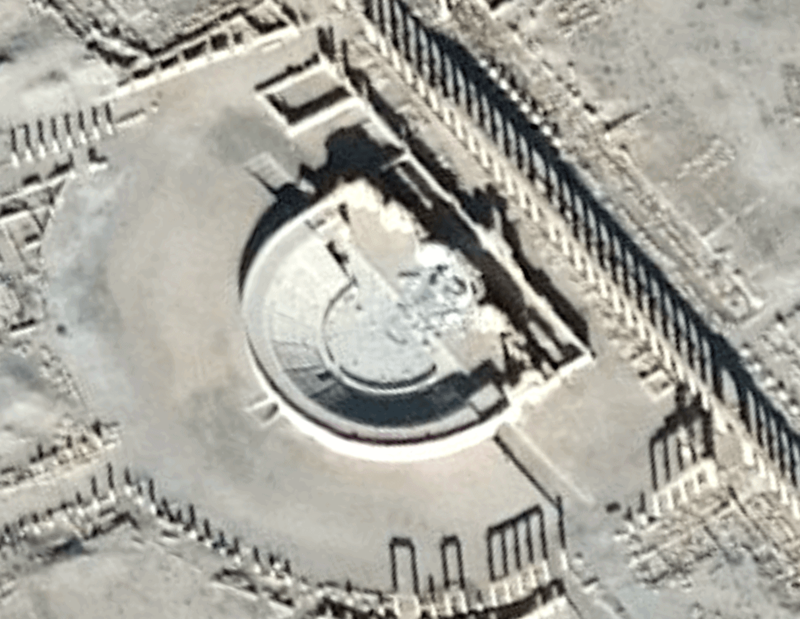 Satelite image of Palmyra’s Tetrapylon Amphitheater, after its destruction by IS. Taken on the 10th January 2017. Image courtesy of UNOSAT. At once highly modern and wholly medieval, IS recorded their devastation of this formerly prosperous trade-region in a documentary-type video, and proceeded to post it online. The footage depicted jihadists employing sledgehammers, drills, jackhammers, power-saws, bulldozers and explosives to bring Palmyra down in a pile of rubble. What was especially horrific about both the attacks on New York and Palmyra, is that the images of destruction were proliferated over and over again via media channels and online platforms, displaying, as has been previously mentioned, almost cinematic effects. These attacks were designed to be seen. In destroying these temples of civilisation, fundamentalist groups have demonstrated the belief that violence and destruction are an opposition to the past, and a catalyst for progress and change. What is interesting, however, is that whilst IS arguably may have contributed to the cultural inconsequence of art and artists by their simultaneous pillaging and spectacular destruction of Palmyra and New York, they have failed at perceiving a new world order. When it comes to civilisations’ response to the destruction of art, antiquities and sites of cultural heritage, IS has been successful in establishing that the reaction to the destruction of art is timeless. Here, they have failed in subverting what is ‘normal’ – art as the most enduring of languages. Ellen Agnew is a staff writer at ART AFRICA magazine. 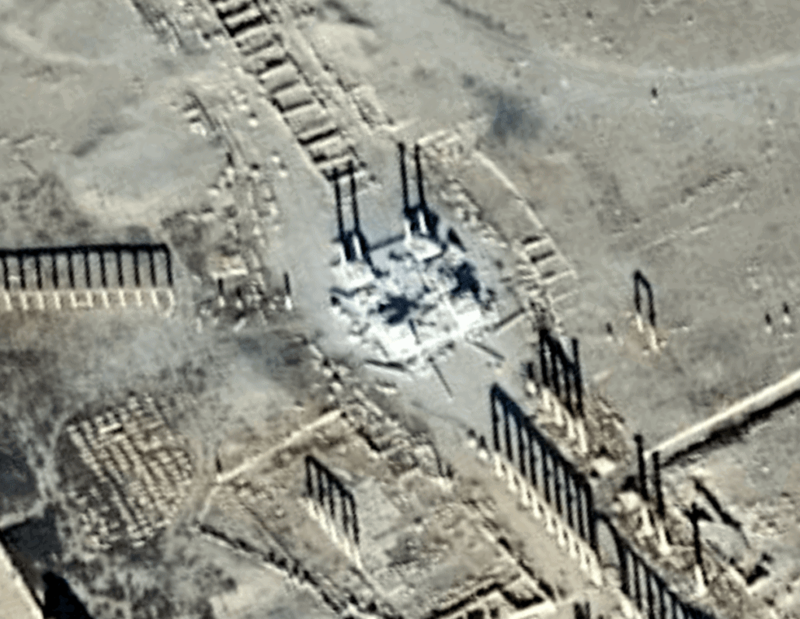 FEATURED IMAGE: Satellite image of a close-up of Palmyra’s Tetrapylon after the destruction caused by IS. Image taken on the 10 January, 2017. Image courtesy of UNOSAT.